The ideal mouthguard is durable, resilient, and comfortable. It should fit properly and not affect breathing or speaking. Make sure your mouthguard has designand protective features aligned with your sport. Most athletic m outhguards aredesigned to wear on the upper teeth, but helmeted sports that include a facemask can also use a mouthguard designed to protect the lower teeth. Your mouthguard is an important part of your playbook. An ill-fitting mouthguardwill be a distract io n at best, but at worst it might not provide the level ofprotection you need. Make sure your mouthguard feels tight, yet f its comfortably to ensure thatit will stay in place for better protection. 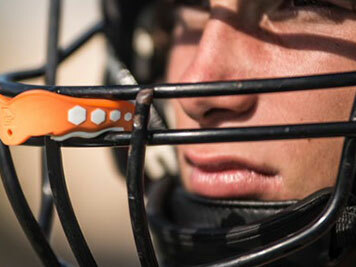 Mouthguards designed with optim um thickness better absorb and deflectimpact that can cause injuries. With a single-layer mouthguard, one material must do two jobs: cr eatingthe mouthguard form and ab sorbing shock. A multi-layer mouthguardoffers additional protection be cause the “forming” layer helps themouthguard fit snugly in place. If you wear braces, select a mouthguard specificallydesigned for braces. Choose an Insta-Fit style whichrequires no boiling or fitti ng and adapts as bracesare adjusted and teeth move. 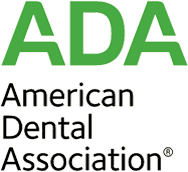 The American Dental Association believed so strongly in the importance ofmouthguards, they helped to make mouthguards mandatory for U.S. highschool football players in 1962. Currently, the National Collegiate Athletic Association requires mouthguardsfor four sports: ice hockey, lacrosse, field hockey and football. It’s estimated that mouthguards prevent more than 200,000 injuries each year.